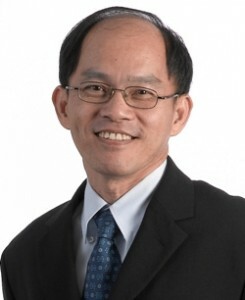 Dr Lim is a faculty in the School of Electrical and Electronic Engineering. He is holding a concurrent appointment as a Deputy Director for the M.Sc in Financial Engineering and the Centre for Financial Engineering, anchored at the Nanyang Business School. He is a versatile researcher with diverse interests, with research focus in the areas of computational intelligence, evolvable hardware, finance, algorithms for UAVs and memetic computing. He is currently the Editor-in-Chief of the Journal of Memetic Computing published by Springer. He is also the Series Editor of the book series by Springer titled “Studies in Evolutionary Learning and Optimization”. 1. L. Q. Song, M. H. Lim and P. N. Suganthan. (2010). Ensemble of Optimization Algorithms for Solving Quadratic Assignment Problems. International Journal of Innovative Computing Information and Control, . 2. Lim M H, Gustafson S, Krasnogor N, Ong Y S. (2009). Editorial. Memetic Computing, 1(3), 173-174. 3. Q. C. Nguyen, Y. S. Ong, M. H. Lim. (2009). A Probabilistic Memetic Framework. IEEE Transactions on Evolutionary Computation, 13(3), 604-623. 4. Lim MH, Gustafson S, Krasnogor, Ong YS. (2009). Editorial to the first issue. Memetic Computing, 1(1), 1-2. 5. Ying-ping Chen and Meng-Hiot Lim. (2008). Linkage in Evolutionary Computation. Springer Verlag.